This is an opportunity to participate in a facilitated conversation with Miriam Trehearne to dive deeply into her keynote address. Learning Session 4: Show Me What You Are Saying: Using Props in Storytelling with Brenda Still, Program Supervisor at KIDS Inc. Looking through school supply catalogues you will find wonderful resources for adding to your storytelling repertoire, but these items can be very expensive and limited as they are often “story specific”. Being about to build your own props, no matter what you perceive your artistic skill level to be can be very handy. In this interactive workshop participants will learn the value of using props during storytelling for both the teller and the listener, ideas on how to use ordinary items to enhance your storytelling, how to use puppets and felt boards with stories, and how to encourage children to use props for their own storytelling. A variety of materials will be available to workshop participants to make their own props to take back to their homes and centres to use in their storytelling. 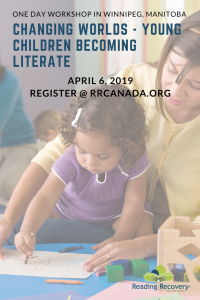 This practical workshop will clarify the most effective research-based strategies and engaging mini-lessons used for both assessing and developing oral language and listening comprehension in Preschool and Kindergarten. Are you wondering how to better support children learning English or those who are reluctant to speak and participate in conversations? 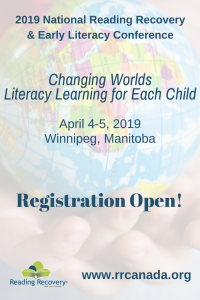 This workshop will explore ways to observe and learn from a child’s use of language in order to foster language development through playful literacy activities. Children learn the best through play and play in literacy development is no exception. There are a variety of ways to engage children in literacy activities that are child centered and play-based. This session will explore ways to do this best in your classroom or childcare centre. Children’s early writing experiences provide them with powerful learning opportunities that contribute to their ongoing reading and writing progress. Much happens when they are encouraged to write. This session will share what to look for in a child’s scribbles and marks on a page and how to delight in and celebrate changes. Supporting Phonological Awareness in the Early Years workshop promises to be a fun filled experience that brings to life current research and research-based practices for promoting phonological awareness in Early Years Settings. This action oriented workshop was developed specifically for educators of 3-5 year-olds; the workshop offers practical, immediately usable strategies that fit naturally into everyday classroom activities. There will be focus on the Phonological Continuum and how Early Years Practitioners can use to research –based strategies to support young children through each stage. This workshop will also explore the Early Language and Literacy Classroom Observation (ELLCO) Pre-K Tool and how it can be used to get an overall view of effective practice. Emphasis will be placed on the language and literacy section of the tool, and how it can be used to support the development of phonological awareness in the Early Years. A wonderful journey awaits you! "If the student cannot learn we should assume that we have not yet found the correct way to teach him." "With problem readers it is not enough for the teacher to have rapport, to generate interesting tasks and generally to be a good teacher. " "Teaching is when you supply information that the learner does not have." 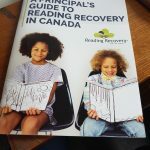 “There are strategies, Professional Development and Professional Learning Community implications that ALL teachers benefit from when Reading Recovery is implemented. The strength in this intervention is in how teachers observe and change their teaching to suit the needs of the students they are working with. Another strength is in how teachers meet regularly to WATCH each other teach, ask questions about the strategies they are using, ask each other what they think they can change or adjust to assist their students to learn more effectively. Reading Recovery is a HUGE asset to any school! It has helped my son become a strong, independent reader and has given him the confidence to tackle books that he never would have attempted before. The Reading Recovery teacher is a fantastic teacher who has helped my son become a ‘reader’ and enjoys the process of learning. This program is an absolute must. For our child, it changed his whole demeanor. He went from pushing through his tasks to taking absolute pride in his work. His teacher made the Reading Recovery program very exciting for him because he never wanted to miss a class because he enjoyed it that much. I am very pleased with the Reading Recovery program at the school. My son was indifferent when he was being taught letters in kindergarten and at the start of grade one he was very apprehensive about reading. Now he is very good and confident with his reading and says that it is one of his favourite things to do! 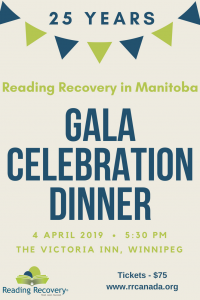 Established in 1993, the Canadian Institute of Reading Recovery is a not for profit organization that works collaboratively with wide-ranging and diverse educational communities across Canada to deliver Reading Recovery to the students struggling most. Copyright © 2018 Canadian Institute of Reading Recovery. All Rights Reserved.